Already using HubSpot? Our free assessment can maximize its potential for your business! Could you be using HubSpot more effectively? At Denamico, we love helping people maximize HubSpot to achieve growth. You've already recognized the value that HubSpot can bring to your business, but you might not be taking full advantage of all it can do. Whether you're new to the portal or just haven't had time to optimize it, let us give you a quick, FREE assessment to pinpoint some areas where HubSpot can do more for you and your business. 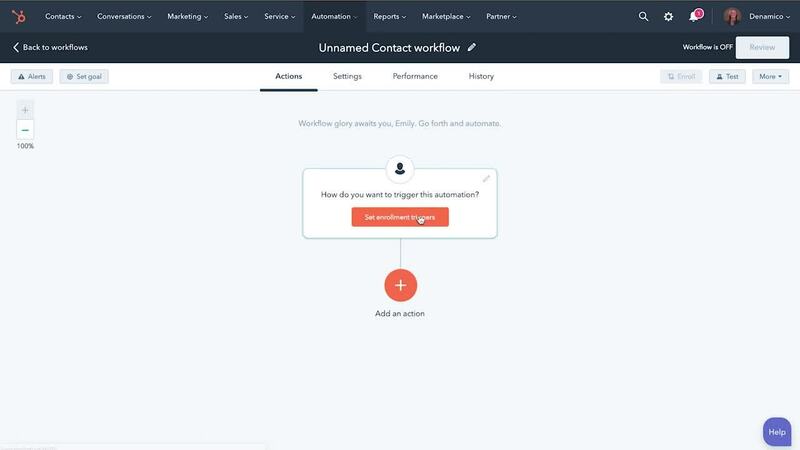 Are you using HubSpot's automation capabilities to nurture leads, eliminate "busywork", and create smooth operating procedures to unify your teams? Do your prospects feel like a number or do they come away from an experience with your company feeling like they matter as an individual? Do the custom properties and organization structures inside your portal align with the business processes actually happening in your office? Do you have a way to analyze your results? Can you make informed decisions based on the data that you retrieve from HubSpot? After you complete the form below, we'll send you an email with a link to a short questionnaire to help us understand your business goals and how you're using HubSpot. We'll also send instructions on how to grant us access to your HubSpot portal. Give us 5 business days to review your portal and responses. Next, we'll share a report of our assessment and set up time for a 30-minute call to review our findings and talk about next steps you can take to achieve growth. Submit your information below to get started with your free assessment.